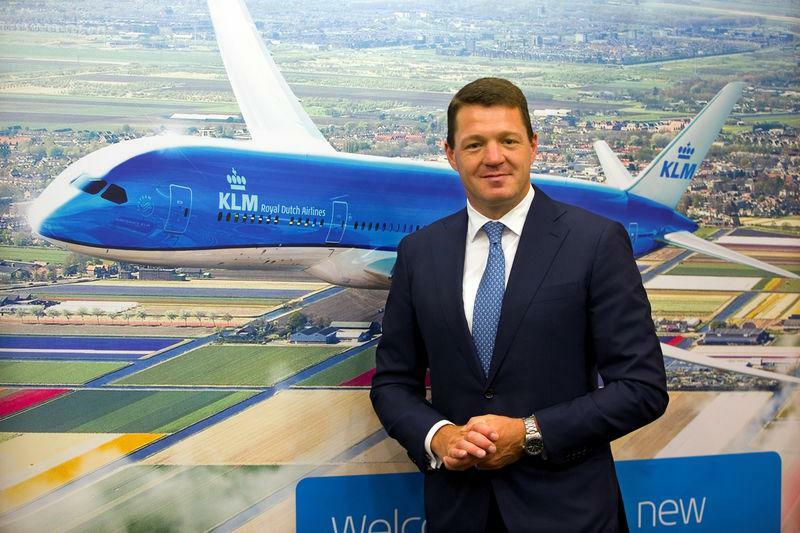 THE HAGUE (Reuters) - Air France-KLM chief executive Ben Smith on Friday met the Dutch finance and transport ministers, amid growing unrest at the company's vital KLM subsidiary over plans for tighter integration with its French parent. Smith did not answer questions after the morning meeting in The Hague, but Netherlands Finance Minister Wopke Hoekstra told reporters that they had had "intensive talks". "I don't think it's polite to say exactly what we discussed," Hoekstra said. "It was about protecting the interests of Schiphol (airport) and KLM." Dutch Prime Minister Mark Rutte also declined to give details of the talks, but said there were "serious question marks" over the performance of the French-Dutch airline as a group. "There's no immediate threat, but there is cause for concern if you compare their performance with other airlines", Rutte said. Air France's board is due to meet Feb. 19 ahead of full year earnings on Feb. 20, a meeting where either a decision should be made to reappoint Elbers or a new leader should be nominated. "It's incredibly important for the Dutch economy and the position of Schiphol as a major hub that KLM does well", Rutte said. "We need to manage these issues well, and my government is working intensively to do so."